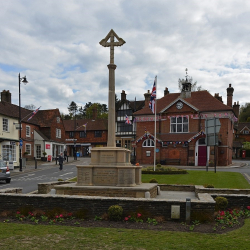 Surrounded by stunning countryside, Haslemere is the most southerly town in Surrey. Boasting many independent shops, restaurants and cafés, this charming market town provides a vibrant and individual atmosphere. There are many societies and clubs in the area and it is well known for its cultural pursuits. Set in beautiful historic grounds, Haslemere Educational Museum is one of the largest geological, natural history and human history museums in southern England, offering fascinating exhibitions throughout the year. The Haslemere Hall plays host to a wide variety of shows, opera productions, plays, films and events, adding to the community spirit of this beautiful town. The best businesses We have searched and found the best recommended Haslemere businesses around. What's on guide Keep up to date with Haslemere events and add your events for free. Special offers We have collected the best local offers in Haslemere, just for you! News and updates Keep up to date with all the latest and best things Haslemere. Proud to have collected 11 reviews locally! Leave a Review!